J&C Academy is an OFSTED registered provider offering a wide range of activities tailored to children's needs. The before and after school provision has been designed to be flexible and affordable. J&C's provision offers a wide choice of activities for Newton Farm School pupils that are age specific and onsite at the school. Our commitment is to ensure provision is accessible to all families and affordable. The Breakfast Club 07:45-08:50 and After School Club 15:30-18:00 will be available term time Monday to Friday. Academy Arts – A creative session and messy time with drawing, painting, crafts and being creative. Team Academy – Team/Group Activities, sports, games, challenges and tournaments. Academy Drama – Creative sessions with, performances, role play, singing and dancing. Academy Sports – Multisport activity sessions, providing access to a wide range of sport and activities. Active Academy – Games and Quiz’s to promote and educate children on benefits of being active and healthy. 020 3291 4387. Thank You. 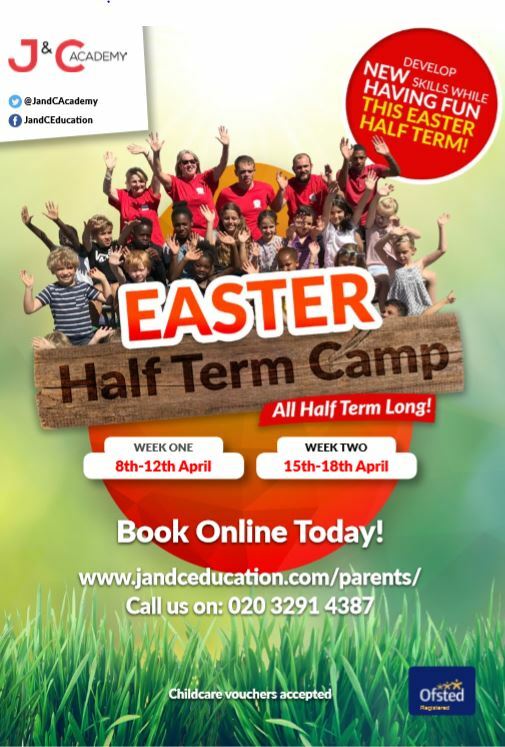 J&C Academy's OFSTED registered Holiday Clubs operate during every school holiday and offer a wide range of activities tailored to children's needs. For information about the Holiday Club running during the Easter Break please use the links below. 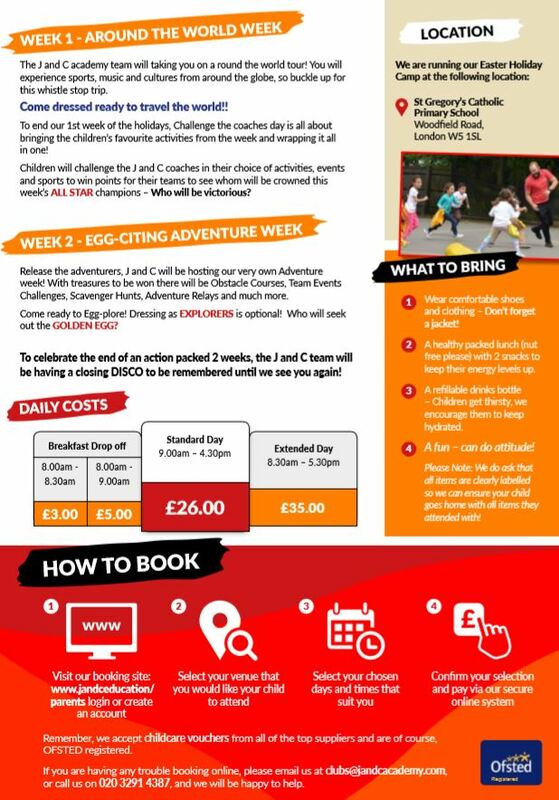 Easter Holiday Club information . . .